So yesterday I wrote a post about trying the Aqua-Flo waterbrushes, made by Royal & Langnickel (R&L). I was sadly disappointed with the brushes sad performance. They leaked and fell apart on the first use. When I tweeted my blog link with the title, I got a response right away. I was very pleased with R&L’s response. So, I emailed their customer service this morning. I will let you know what happens. 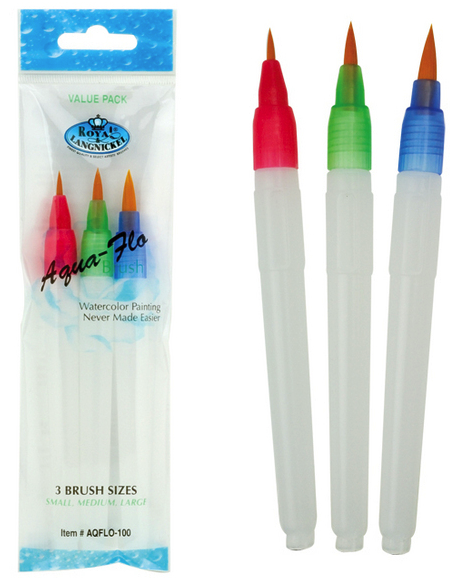 I like R&L as a company and I hope that the new set of Aqua-Flo waterbrushes work better than the set I purchased.